The world in which Jasher Makawe lives is ruled by an oppressive and selfish queen who's goal is to strip the land of all its resources and magic. The unsuspecting Jasher finds himself the only human that can defeat the tyrannical queen, but he can't do it alone. With the help of his Guardian and closest friends, they set out to free the land of the queen's evil influence using an ancient magic that is being sought out by none other than the queen herself. 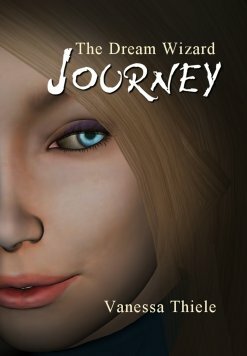 Jasher must first accept his destiny before their Journey can begin! This is a .mobi file. Please transfer to Kindle device via USB cable. After payment is received, the .mobi file will be emailed to you. Please allow 24 hours for .mobi file. Thank you.